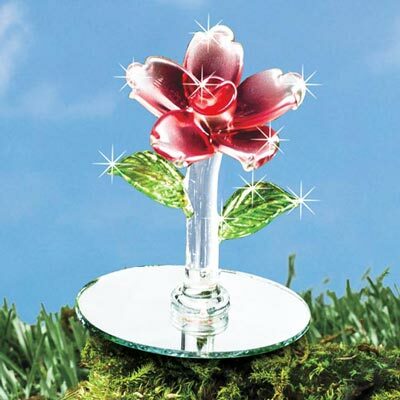 Keep springtime in your heart all year round with one-of-a-kind art Blown Glass Mini Rose! Handblown coloured glass is expertly formed into a unique rose accented with green leaves. 2"h; Base, 1." dia. Hurry! Quantities are limited!